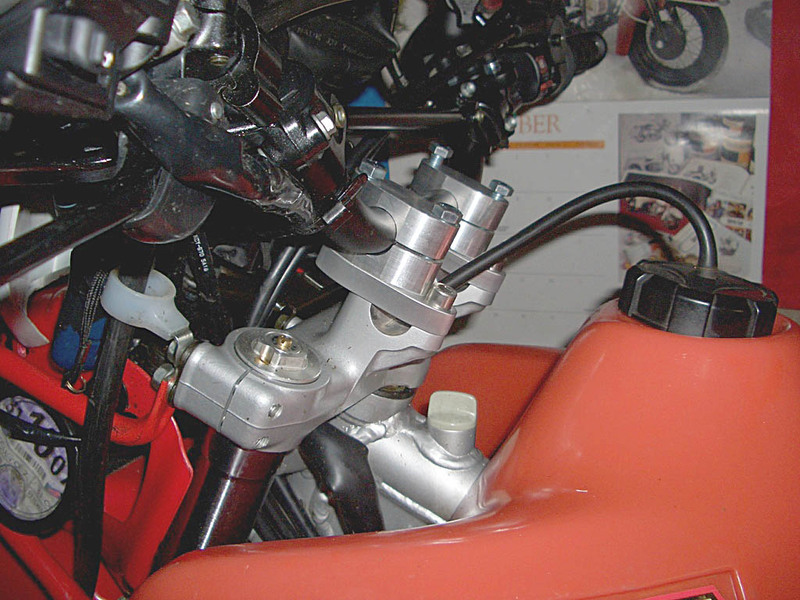 Advanced Motorcycle Products has two types of bar risers that will fit the XR400 bikes. 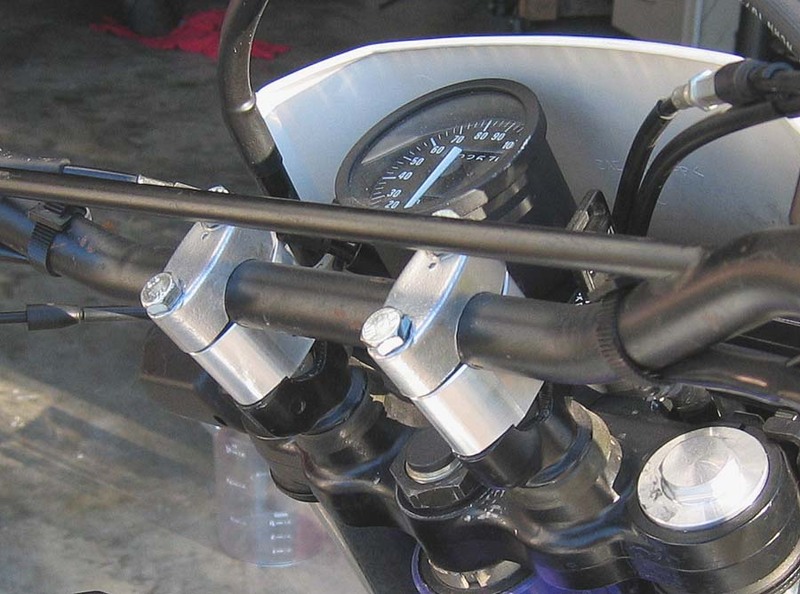 The second type of bar risers that fit the XR400 are the zero offset type that provide 1.25 in of rise to the bars. 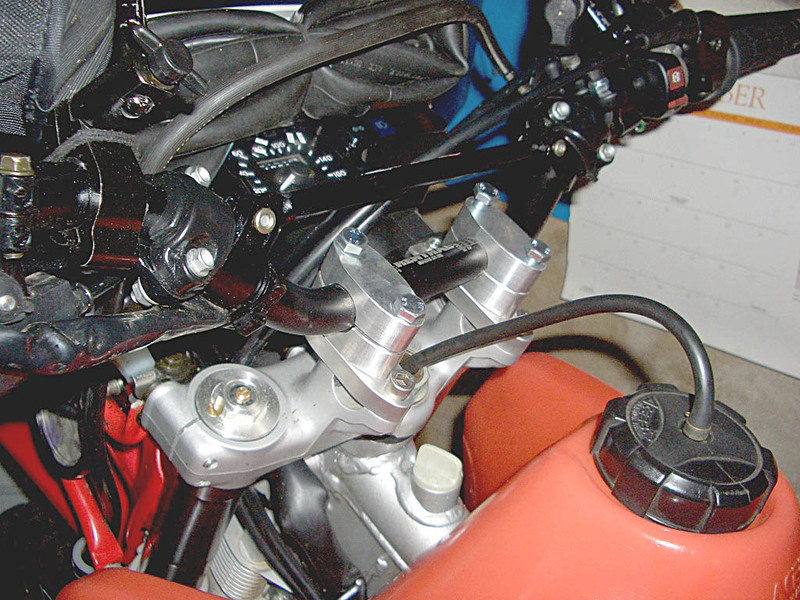 These risers require no modification of instrumentation or ignition switch locations.